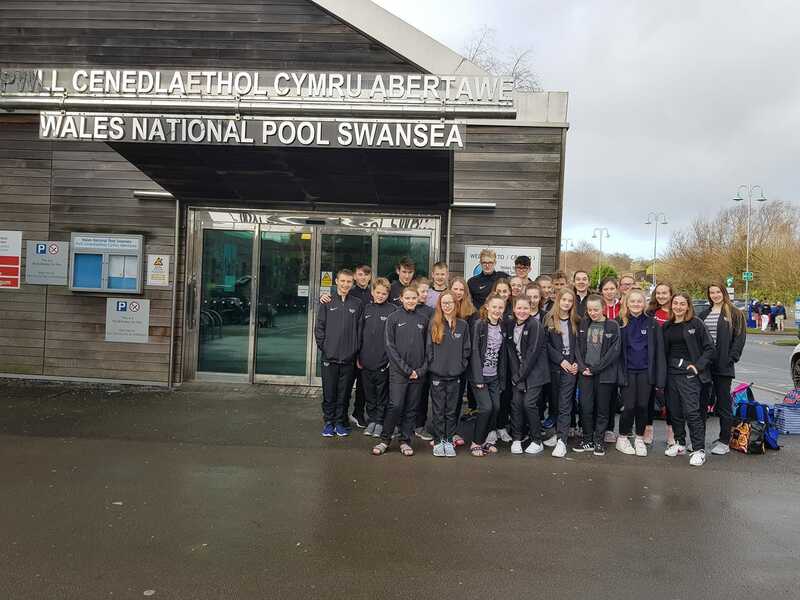 WFSC swimmers travelled to Wales over the weekend of 16/17th February for the Swansea Aquatics Spring Long Course Open Meet at the Wales National Pool. 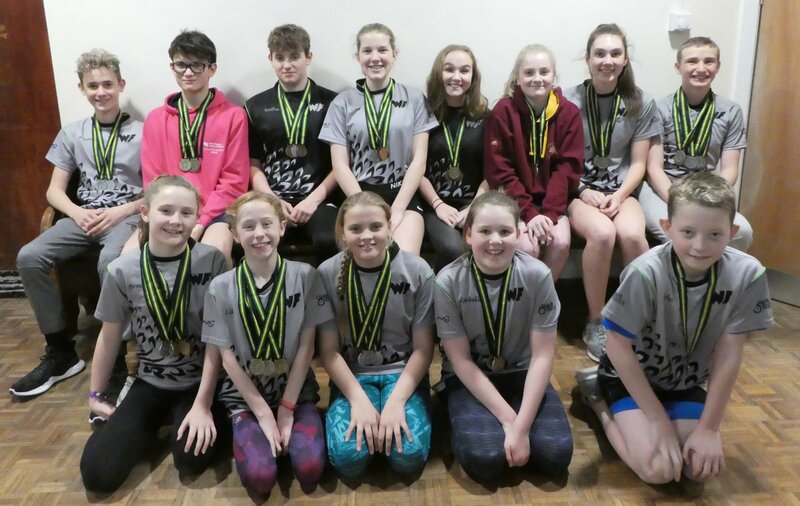 For this meet all swimmers travelled together to Swansea without their parents, which was a new experience for many of our younger swimmers. There was a slight drama when one of the two mini buses carrying the swimmers broke down but again swimmers handled this with great humour and were a credit to the club. The aim of this meet was not only to give swimmers the experience of swimming in a 50m pool but also to reinforce team spirit and give them a brief independence from their parents, encouraging them to think and plan for themselves in an environment where they could enjoy themselves but also gain valuable experience with their team mates. Swimmers had the added bonus of watching Commonwealth 1500 medallist Dan JERVIS swim an impressive 3:52 400m freestyle on his own! 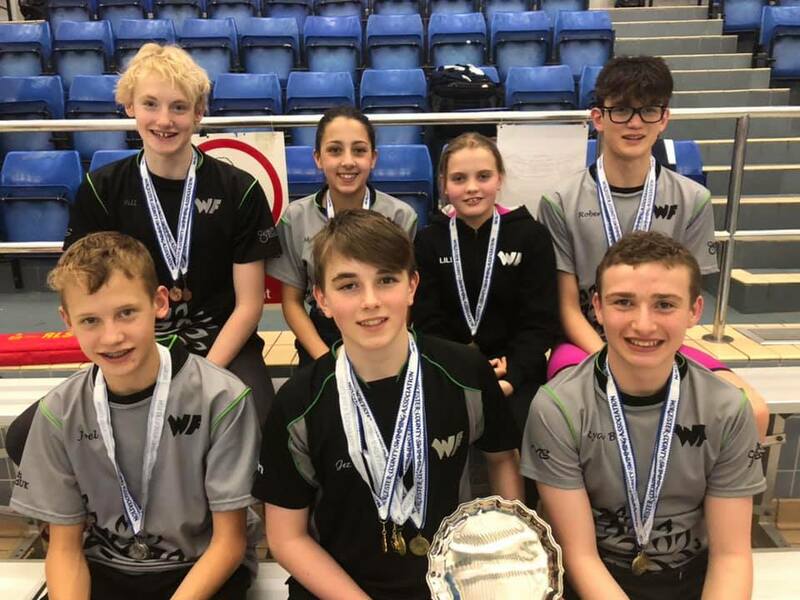 Medal winners at Swansea were Ryan Bloomer, Rob Darbyshire, Joel Hands, Lily Colley, Lillie Grover, Tegan Hands, James Green, Owen Westwood, Millie Gardner, Jasmin Yates, Lucy Nicholls, Matilda Calder, Lois Stevens, Brecon Westwood and Alexandra Hayes. 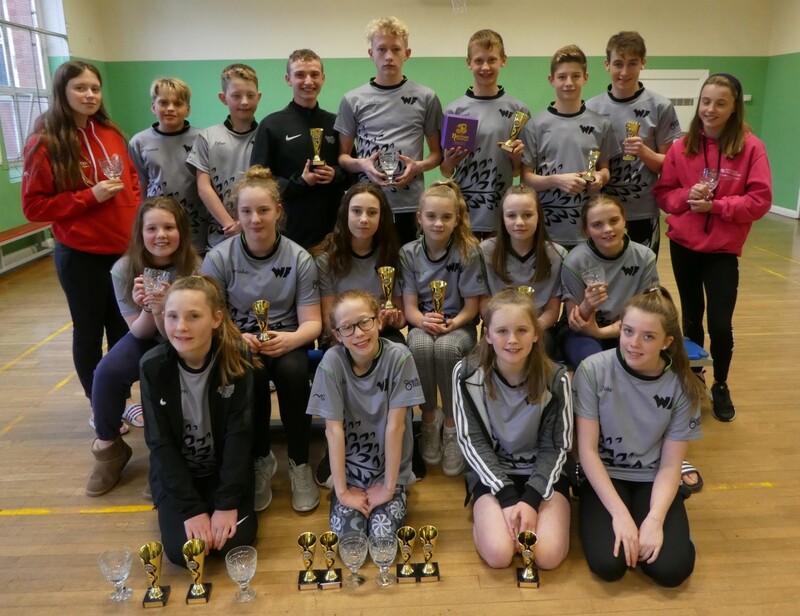 Completing the team were: Jeremy Summers, Tyler Elwell, Marieke Parker, Will Guest, Isabella Hoare, Adam Newey, Lucy Connolly, Erin Freer, Lauren Stewart, Lucy Watkiss, Chloe Lawson, Abbie Rowley. Thank you also to Nigel Elwell, Becki Rowley and Donna Stevens for making this such a rewarding experience for our swimmers. This year’s County Championships were held over three weekends at both Wolverhampton Central Baths and Perdiswell Leisure Centre. 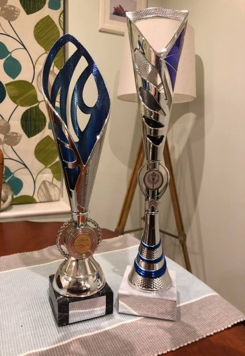 Going into these Championships WF were the second most improved club in the county based on an 84% improvement of number of entries for the Championships from 2018 to 2019. Races of 200m and above were heat declared wins in each age group, whereas races of 50m & 100m saw swimmers progress to finals consisting of the fastest 8 swimmers in each age group. WF swimmers won an amazing total of 88 medals across the three weekends, 26 Gold Medals (+ 4 Championship Medals), 31 Silver Medals and 20 Bronze Medals (+7 Championship Medals). 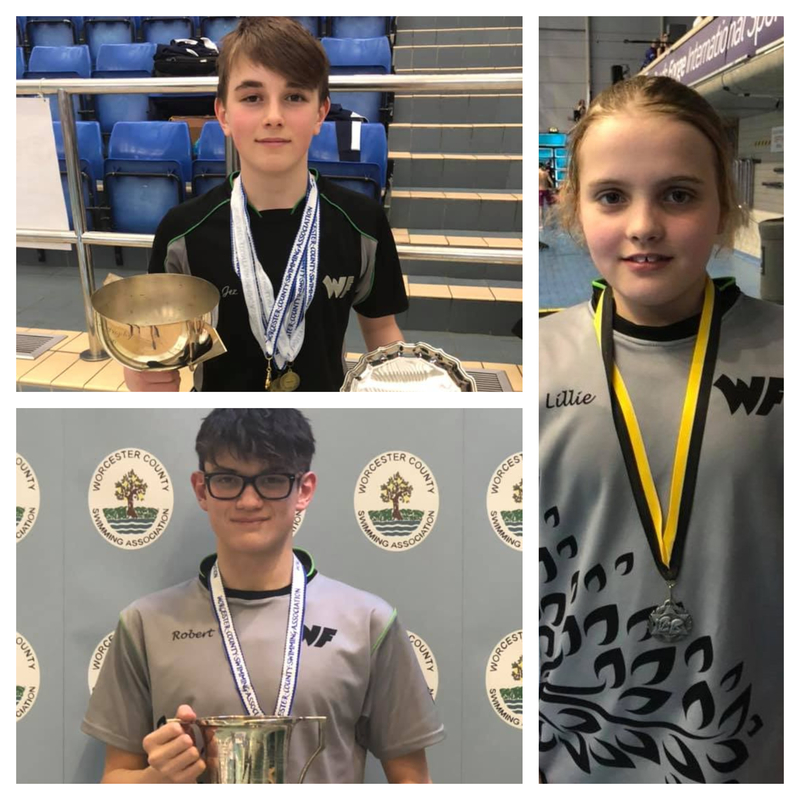 WF also came away with both Senior and Junior County Champion titles. 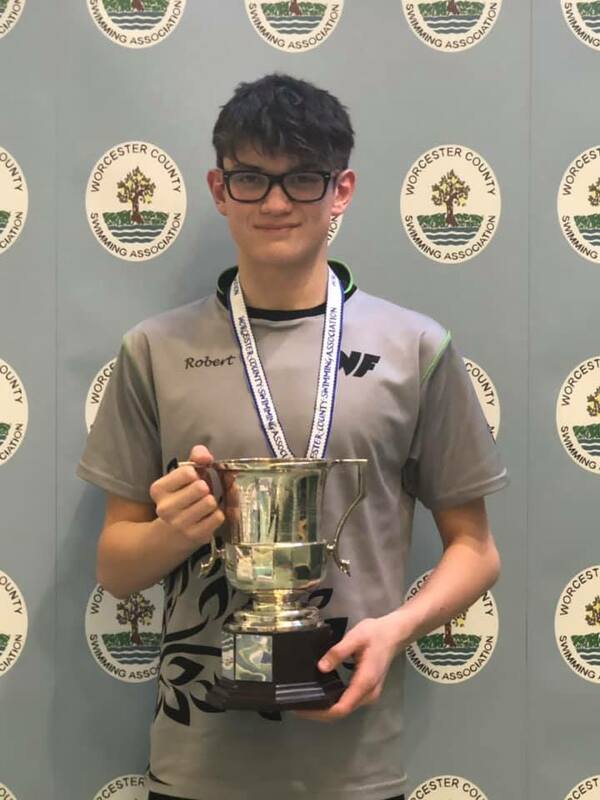 Jeremy Summers (15) wo n Gold in both the 800m and the 1500m freestyle making him the Junior County Champion in both events; Robert Darbyshire (16) won Gold in both the 200m and 400m freestyle making him the Senior County Champion in both events (despite actually only being 15 years old on the day but placed into the Senior category) and there was great news for Lillie Grover (12) who amassed 10 Gold Medals and 4 Silver Medals making her the Top Girl across all ages in the 2019 Championships. Our medal winners were:- Bradley Baddams, Ryan Bloomer, Charlie Brown, Matilda Calder, Nathaniel Crowther, Robert Darbyshire, Tyler Elwell, Millie Gardner, Lillie Grover, Will Guest, Joel Hands, Tegan Hands, Alexandra Hayes, Isabella Hoare, Mollie Kilgour, Lucy Nicholls, Abbie Rowley, Jeremy Summers, Brecon Westwood, Owen Westwood, Jasmin Yates. 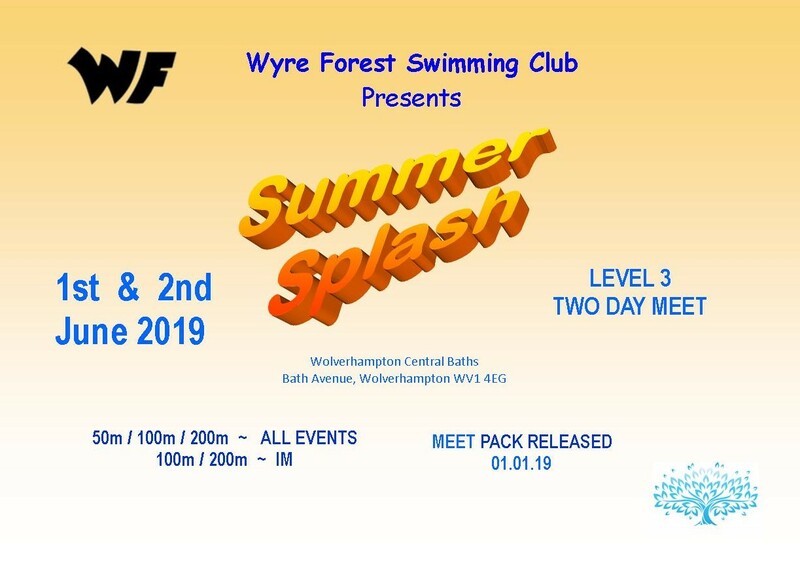 Completing the 36 qualifying swimmers for these Championships were:- Lucy Connolly, Erin Duffy, Erin Freer, Chloe Manning, Marieke Parker, Shay Parker, Lois Stevens, James Vaux, and Evie Williams. This year’s National Winter Championships were held at Ponds Forge International Sports Centre, Sheffield, from 14th to 16th December 2018. The Championships is the biggest English swimming meet of the winter months, with some of Britain’s top senior swimmers involved including Siobhan-Marie O’Connor, Olympic Silver & Commonwealth Gold medallist; James Guy, Olympic Silver medallist & European Champion; James Wilby, Commonwealth Gold medallist and Sarah Vasey, Commonwealth Gold medallist. Almost 900 swimmers competed in the competition with all swimming events being streamed live. This was a new, exciting and nerve wracking experience for both boys with Nathaniel qualifying in the 200m backstroke and Rob in the 400m freestyle. 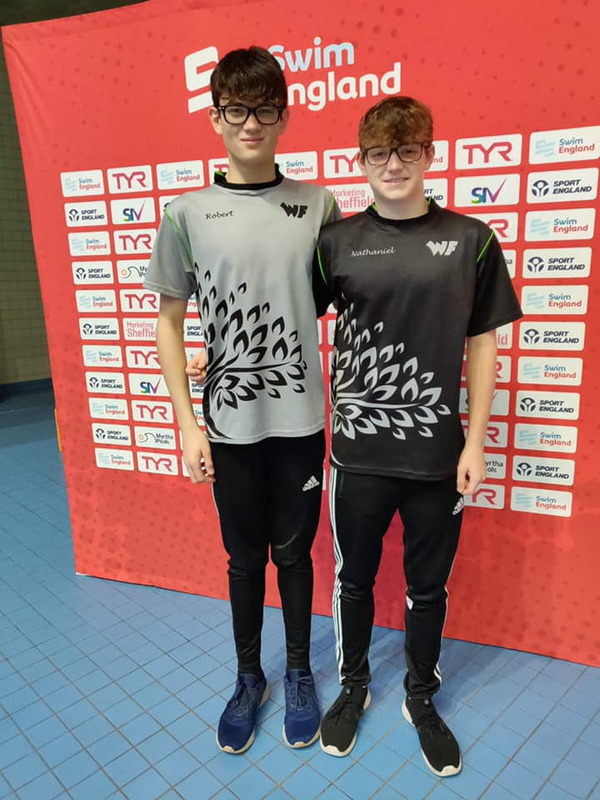 Both boys rose to the occasion, both managing to produce personal best times, Nathaniel 2.12.56 and Rob 4.11.42, meaning it was the fastest they had ever swum their events and the fastest recorded in the West Midlands region for their age group events in 2018! 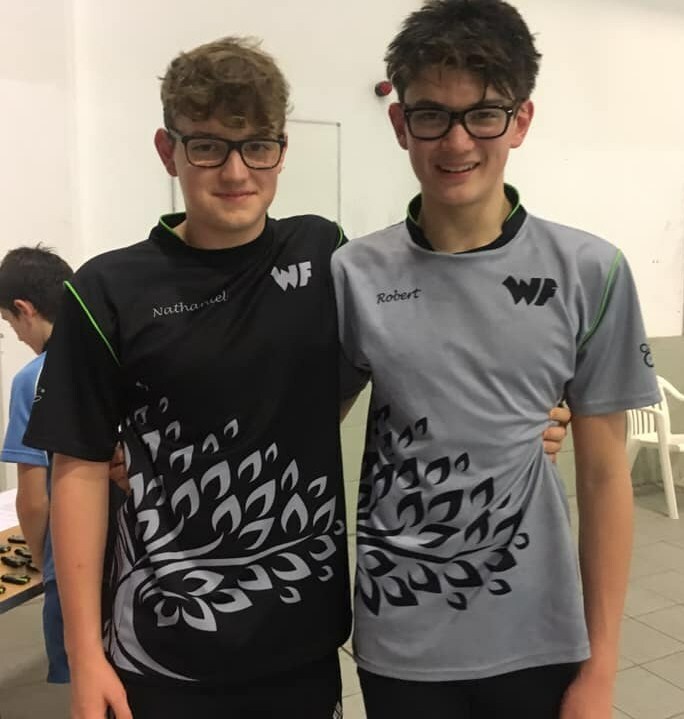 Congratulations to both boys, all at WF are very proud of you! 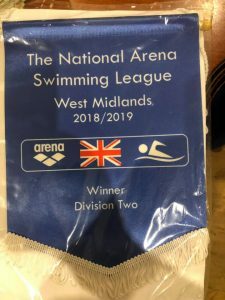 The second round of the National Arena League saw Wyre Forest hosting the event at Perdiswell Leisure Centre, Worcester. With a couple of swimmers from the first round unavailable, new swimmers stepped up and helped team mates fight for every point, knowing this was going to be another closely fought battle. Girls 9-11 yrs 4×2 freestyle & medley relay team of Lillie Grover, Lily Colley, Brecon Westwood, Isabella Hoare. Boys 15/under 4×2 freestyle & medley relay team of Nathaniel Crowther, Charlie Brown, Adam Newey and Rob Darbyshire. Ladies Open 4×2 medley relay team of Isabelle Bowers, Lois Stevens, Abbie Rowley and Emily Watkiss. 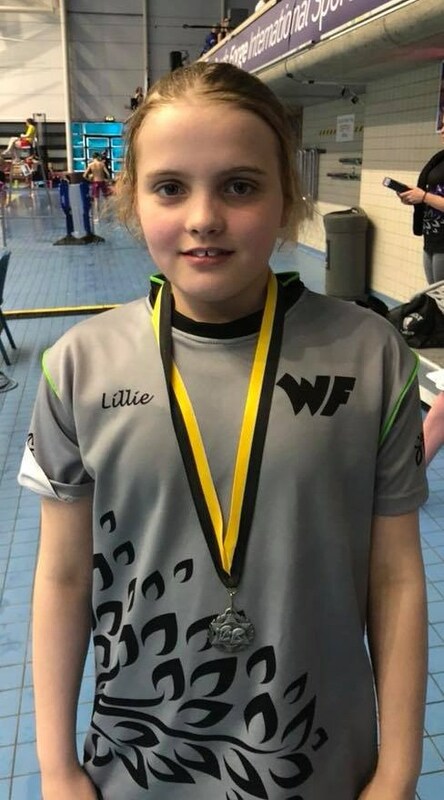 Girls 10-11 yrs 50m back & 50m fly – Lillie Grover. Ladies Open 100m fly – Abbie Rowley. Boys 15/u 100m fly & 100m free – Rob Darbyshire. Boys 13/u 100m free – Joel Hands. Ladies Open 6×2 freestyle relay team of Lois Stevens, Matilda Calder, Isabelle Bowers, Emily Watkiss, Alexandra Hayes and Abbie Rowley. 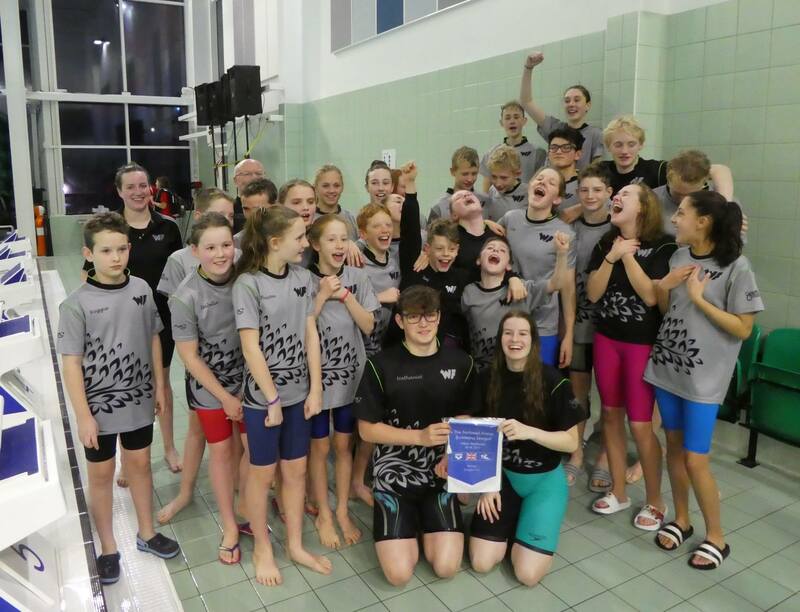 Despite a little confusion over the final scores, WF swimmers dug in, with 31 new PB’s being set and finished a fantastic second, just 3 points behind the winners of this round, Northgate. The final scores were Northgate 206, Wyre Forest 203, Flitwick 177, Daventry 160, Bromsgrove 158 and Bicester 141. Points from the first and second rounds have been added together, with WF finishing in third place overall in the division which means we will be swimming for promotion in the final round in December! Well done and thank you to all those who helped out on the night. 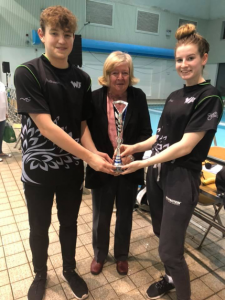 Members of Wyre Forest swimming club attended the GL1 Leisure Centre in Gloucester over the weekend of October 20-21st for the City of Gloucester Open Meet. 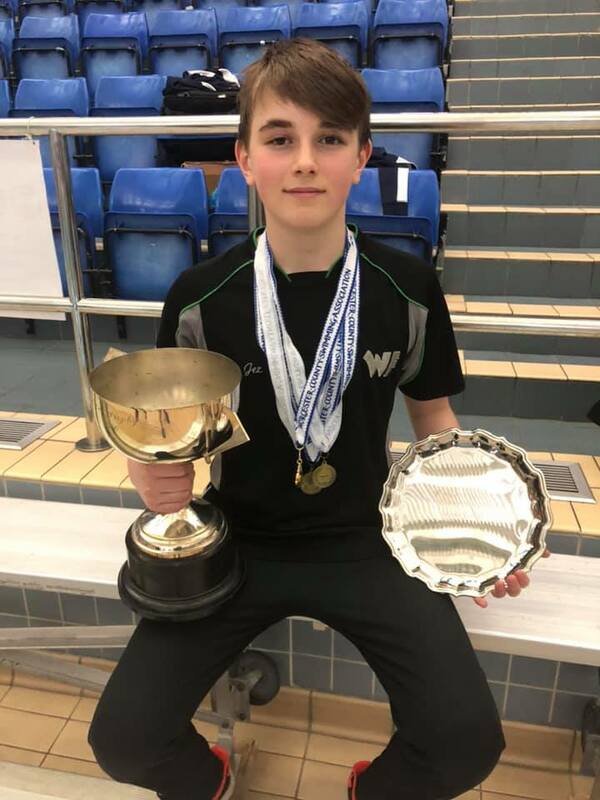 Two very exciting stand out performances over the weekend came from Nathaniel Crowther in the 200m backstroke and Robert Darbyshire in the 400m freestyle, with both boys achieving Swim England Winter National qualifying times – amazing, attacking swims which had fellow swimmers and parents on the edges of their seats! 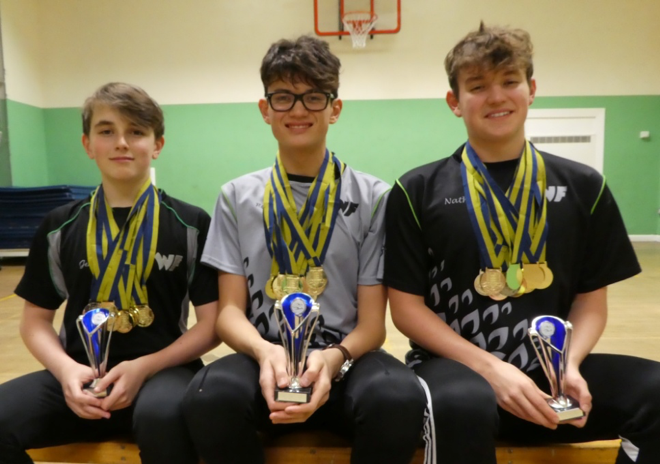 Medal winners were:- Joel Hands (13) – Gold 1500m free, Silver 400m free, Silver 50m back, Bronze 200m back, Bronze 100m back; Will Guest (15) – Gold 1500m free, Silver 400m free, Silver 100m free, Bronze 200 back; Ryan Bloomer (12) – Gold 200m back, Gold 200m IM, Gold 50m back, Silver 50m breast, Silver 200m fly, Silver 100m fly, Silver 200m free, Silver 100m back, Silver 50m fly, Silver 400m IM, Silver 100m free, Bronze 400m free; Nathaniel Crowther (15) – Gold 200m back, Silver 50m breast, Bronze 200m IM, Bronze 400m IM; Alexandra Hayes (12) – Gold 100m fly, Gold 50m fly, Gold 200m fly, Silver 100m free, Bronze 200m free, Bronze 50m free; Abbie Rowley (16+) – Gold 50m fly, Silver 100m free, Bronze 100m fly; Adam Newey (14) – Silver 200m back, Silver 50m back; Brecon Westwood (10) – Gold 200m breast, Gold 200m free, Gold 100m free, Gold 50m breast, Gold 400m free, Silver 100m breast, Bronze 50m free; Lois Stevens (14) – Silver 400m free, Silver 100m breast, Bronze 200m breast, Bronze 50m breast; Rob Darbyshire (14) – Gold 200m IM, Gold 400m free, Gold 50m free, Gold 100m fly, Gold 200m free, Gold 50m fly, Gold 100m free; Lily Colley (10) – Gold 100m back, Gold 200m back, Silver 200m IM, Bronze 200m free, Bronze 50m fly, Bronze 100m free, Bronze 50m back, Bronze 100m breast; Lucy Nicholls (15) – Gold 100m back, Silver 100m free, Silver 50m back, Bronze 200 free, Bronze 200m back; Matilda Calder (15) – Gold 200m fly, Bronze 400m IM, Bronze 200m IM, Bronze 50m back; Colby Hands (11) – Silver 200m free, Bronze 50m free; Lillie Grover (11) – Silver 200m back, Silver 400m free, Silver 200m fly, Bronze 50m back; Isabella Hoare (11) – Gold 100m breast, Silver 200m IM, Bronze 200m back, Bronze 50m free; Jasmin Yates (13) – Gold 200m back, Silver 200m fly; Tyler Elwell (12) – Bronze 200m breast; Tegan Hands (13) – Bronze 400m free. Well done to everyone who attended!